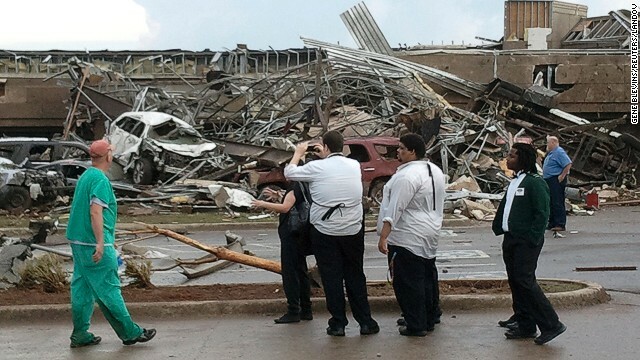 A massive tornado ripped through Moore Oklahoma City this afternoon leaving much damage and many injured in its wake. According to CNN, the tornado is estimated to have been nearly two (2) miles wide, and more than 171,000 may have been its' path, including at least one elementary school. Unfortunately the primary medical center in the area was also damaged and evacuated, which means that the injured will need to be transported to other nearby hospitals. The tornado today isn't a stand-alone event. 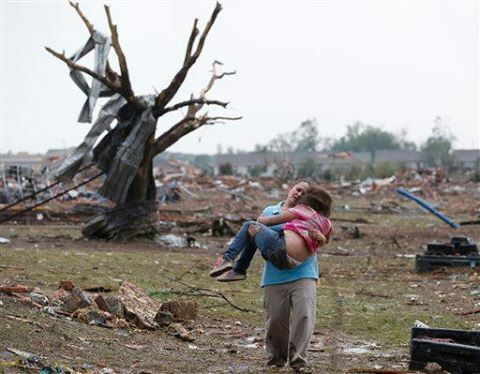 Over the entire weekend large areas of Oklahoma were hit by devastating storms that have left several people dead, as many as 300 homes damaged and destroyed, and entire towns leveled.